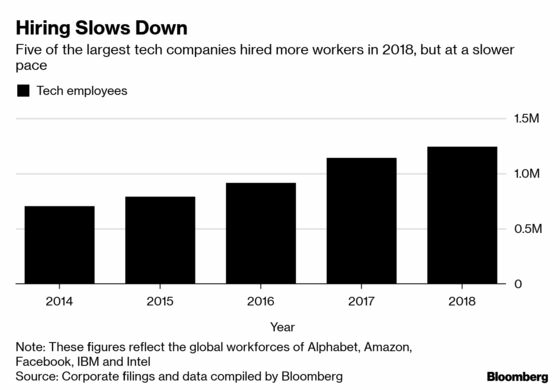 (Bloomberg) -- Some of the largest U.S. technology companies pushed for a corporate tax overhaul in 2017 by suggesting they would go on hiring sprees and boost the economy. 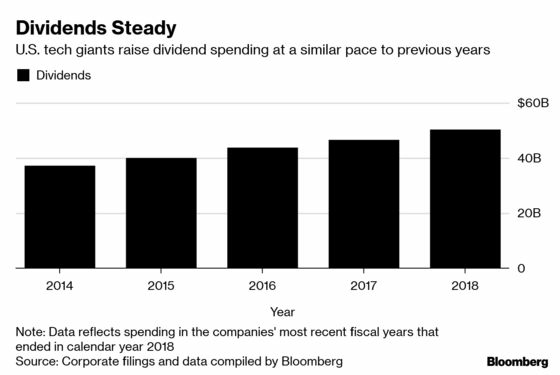 Just over a year after getting what they wanted, data show these firms gave most of their huge tax savings to investors. 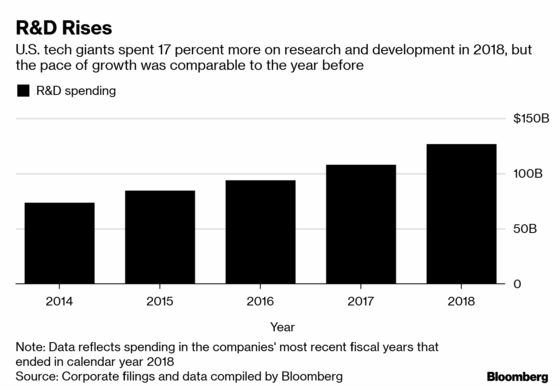 Research and development spending by the 10 tech companies studied by Bloomberg rose 17 percent last year -- a slight uptick from the 15 percent increase in 2017. The acceleration was largely driven by Alphabet and Amazon, which have invested heavily in cloud computing. 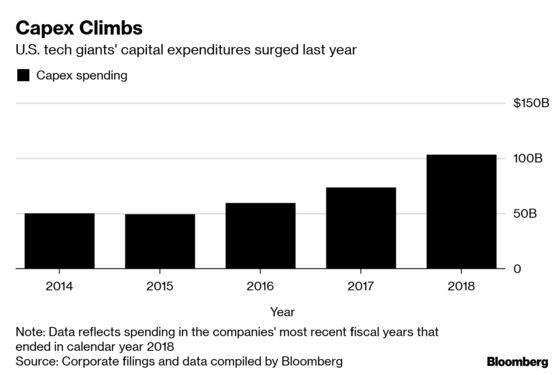 Capital expenditures surged in 2018 as Alphabet and Facebook nearly doubled this type of spending, which includes computers for their huge data centers. That helped boost the overall metric to 40 percent growth, from 23 percent the year before. Oracle also lobbied hard for the tax law. 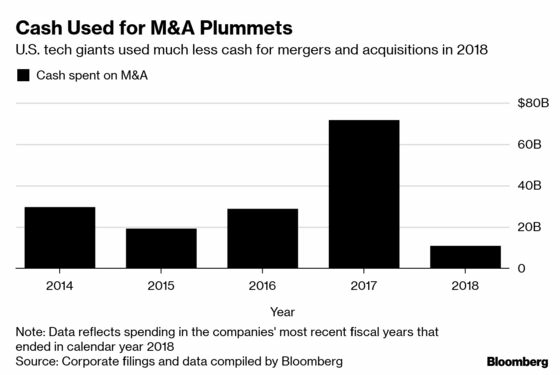 The software maker has since poured cash into stock buybacks and dividends – recently giving the go-ahead to repurchase about $10 billion of shares each quarter. 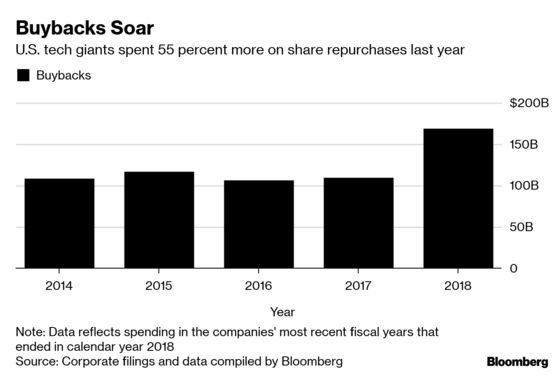 In previous years, the company authorized share repurchases of more than $10 billion about once a year. This helps concentrate the ownership of company co-founder Larry Ellison. 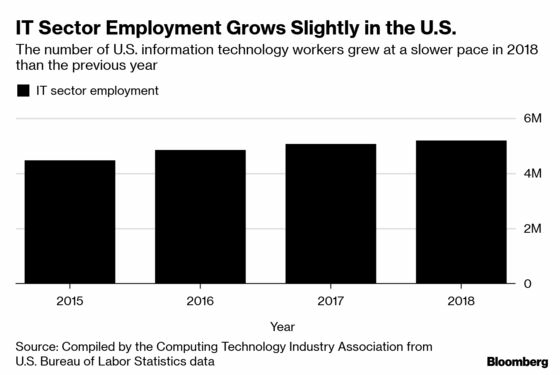 It also supports the stock price and earnings per share metrics at a time when the company is struggling to grow its cloud-computing business.